Planning to visit Ziro for the famed music fest? Or just looking for a tranquil place in the mountains for a break with the fam? Book a stay at a log cabin at Siiro Resort. 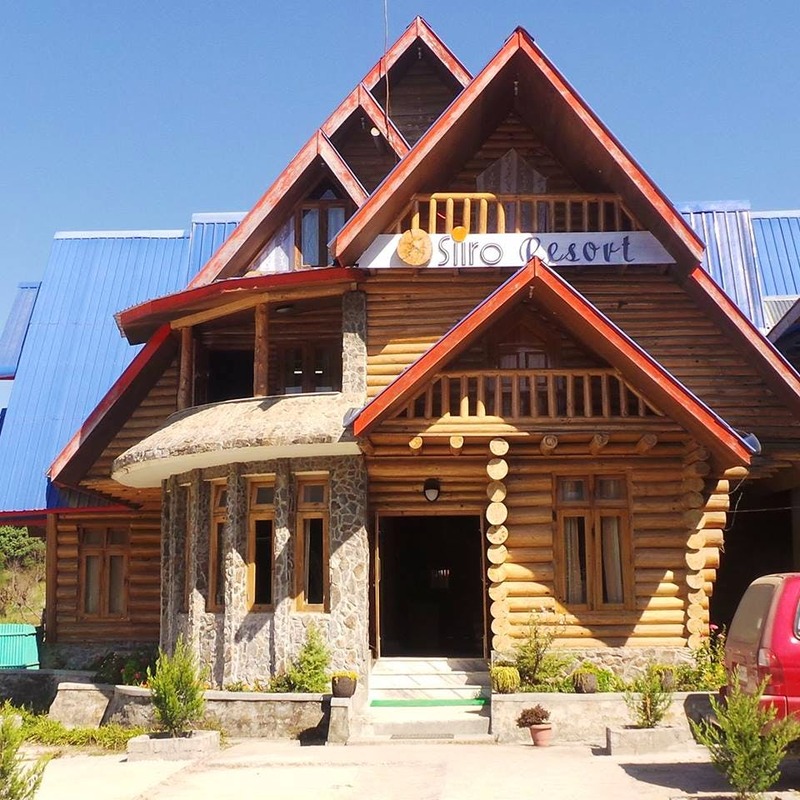 Siiro Resort makes for a cosy stay in log cabin cottages in Ziro. It offers airport transfers and 24-hour room service. The whole place is made of pine wood. You can pick from 12 spacious rooms furnished with double/twin beds, TVs, heaters, wardrobes and bathrooms with hot and cold water. If you are in the mood to write, they also have desks in each room. There's lots to do here. Visit the twin hillocks of Dilopolyang and Maniipolyang on the way to Talley Valley - a scenic grassland land beneath the natural forests. The Hakhe- Tari waterfall is in a valley of an old abandoned settlements on a gorgeous lush prairie enclosed by the forest and hills about 5km from Siiro. It has a lovely waterfall - the Ngiikho Choting. There's the Taley wildlife sanctuary nearby with virgin forests ranging from sub-tropical to alpine vegetation - think giant silver fir trees, a variety of rhodendron, orchids, ferns and varieties of bamboo. One should not leave Ziro without visiting this biodiversity hot spot of this plateau, which is away nearly 25 KM from Siiro. Rooms start from INR 1,200 and breakfast is INR 200, a veg meal is INR 350 and non-veg is INR 450. The resort provides pickup and drop facilities from Hapoli, and medical and laundry services on request. Silanibari railway station is 116 km and North Lakhimpur railway station is 123 km from the resort. It's about 127 km from the Lilabari Airport.